The working line for the AZTEK system must be strong, perform well with small diameter Prusik cord, and be supple enough to pack compactly. Constructed of 100% nylon, our design-specific AZTEK ProSeries Cord blends high strength with abrasion resistance for proven performance. The sheath construction is engineered for compatibility with our 6 mm sewn Prusiks and ease of packing into the AZTEK ProSeries Pack. Bright orange for high visibility. Tested, proven and trusted by the CMC School, Ropes That Rescue, and rescuers worldwide. Rope/cord is sold by the foot. Please contact customer support for maximum length available. Designed for use with the AZTEK System. 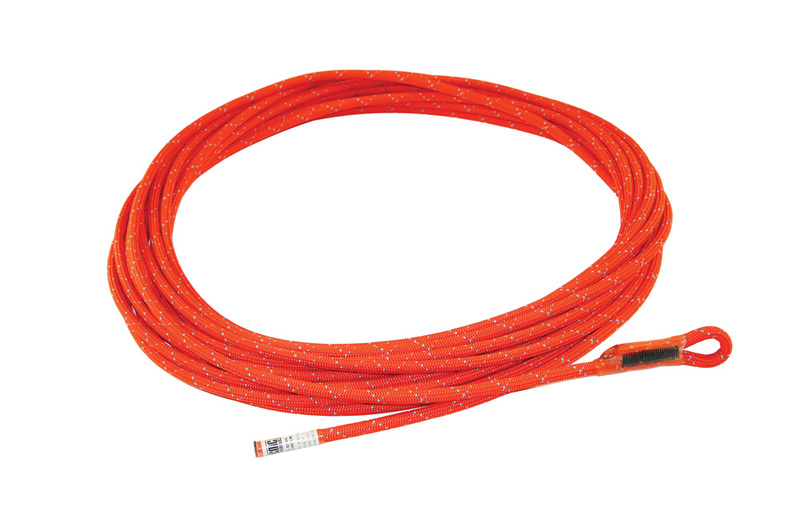 50 feet of 8 mm AZTEK ProSeries Cord with a sewn-eye termination on one end to fit the AZTEK pulley becket.